OUT OF BUTTERMILK FOR BISCUITS ??? How many times have you tried a recipe that calls for 1 cup of buttermilk but they only sell it in quarts? Usually (at my house anyway) the unused/extra buttermilk sits (forgotten) in the back of the fridge until its "use by" date has expired, but that is now a thing of the past. Since I discovered how well buttermilk freezes, I always have it in the house. Ice cube trays are not a standard size. I have one that measures 2 tablespoons per cube and one that measures 1½ tablespoons per cube, so keep that in mind when you are thawing out the cubes (I usually just thaw a couple extra to be on the safe side). 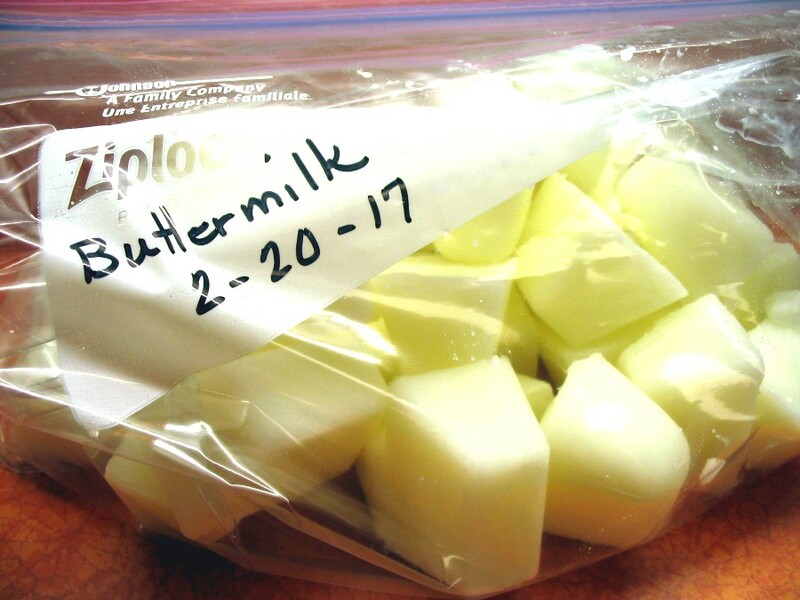 You can thaw the buttermilk cubes overnight in the fridge, or if you need them sooner than that, you can microwave them for just a few seconds. Sometimes, the thawed out buttermilk looks like it's separated (not pretty), don't freak out. Just whisk it back together (for a few seconds) then use it in any recipe. 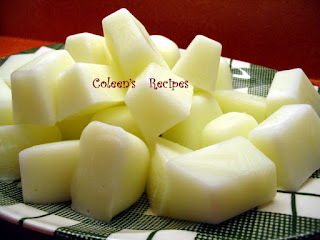 The accuracy of the SIZE of your frozen buttermilk cubes is just a guideline and not at all important, it just gives you an idea of how many to thaw out for any given recipe.